#1 Realtor on Oahu 2018, Honolulu's Best Realtor 2018. After over 30 years in Hawaii, Myron is very familiar with Oahu’s neighborhoods. Whether your buying or selling a home, he’ll selectively focus in on your needs with a discriminating eye for what makes sense from an aesthetic, functional and economic point of view given your particular set of circumstances. Myron does all of this on your timetable without rushing or pushing, but with the sustaining energy and enthusiasm you’ll come to depend on. He will seek out all the information you require to make an informed and correct decision. Myron knows that important decisions like this happen over time, not overnight. Better Homes and Gardens Real Estate Advantage Realty named a Top 250 Company in Hawaii, 2017, 2016. Over 1 billion dollars worth of properties sold & has consistently one of Hawaii’s top 10 producing agents in the State of Hawaii. The company voted "Hawaii's Best" Real Estate Firm 9 years by the Honolulu Star-Advertiser Readers. Top Sales Partner - Prudential Locations – 2003 through 1998. This includes being the top producing agent in the State of Hawaii in those years. Salesperson of the Year - Prudential Locations 1998 & 1997. This includes being the top producing Prudential agent in the state of Hawaii in those years. 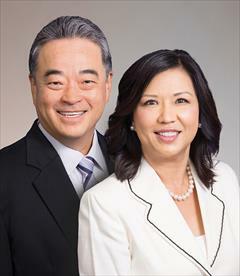 Top Producing Agent - Century 21 in the state of Hawaii in 1995, 1993, 1991 (out of several hundred Hawaii Century 21 agents). Myron’s financial experience, combined with a strong work ethic and innovative ideas have resulted in superior results for his clients. His prior experience with 1031 tax deferred exchanges is an additional benefit to those who work with him.